Ella Blue, I do love you. 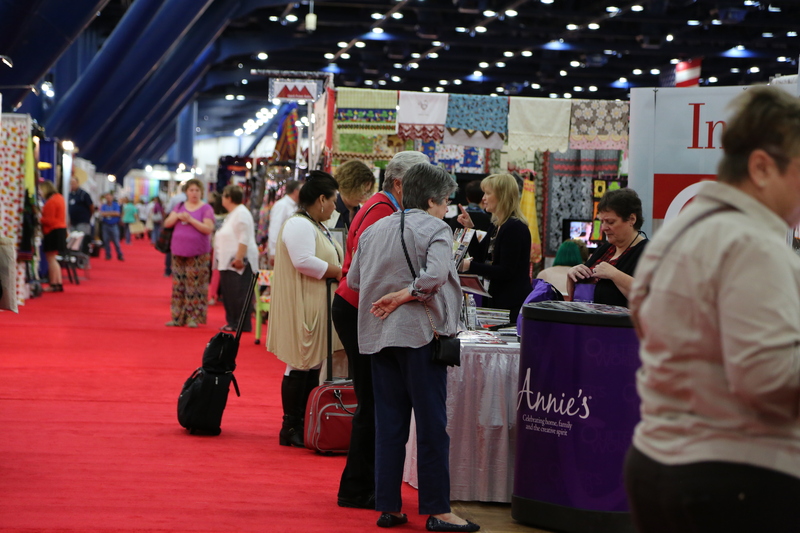 – Houston Quilt Market. Walking the floor of the Houston Quilt Festival/Market. These are just a few of the quilts I enjoyed the other day. I didn’t have a lot of time to walk around the booths the other day but here are some of the things I loved. I’m honest that I didn’t have too much time to explore, however, browsing the booths with a discerning eye I came across the Seven Islands fabric booth and discovered Hokkoh and several other Japanese designed brands that captured my imagination. The lights in the pavilion give everything a blue cast, but I think I captured them despite the way the lights change the color. What do I like about this fabric.? Well, looking at it I realize that I do have some at home, purchased on another adventure. I like the whimsy and the graphic images. The colors and designs seem almost vintage with a hint of childhood. It’s one line I will be looking out for. The fabrics on the metal models are different but were on the same booth and had the same appeal for me. Carolyn Friedlander is a wonderful as well. Similarly, I believe the fabrics would compliment each other combing the art of the two designers. I am a fan of small clean detail and Carolyn’s fabric and pattern designs appeal to me personally. Then some wonderful young Aussie designers featured in this amazing booth. The daughters and grandies in our family would love this. Ella Blue a combination booth of Australian designers and Artists. I loved the booth and I think its one of the best I’ve seen. Jodie Carlton, Rosalie Quinlan and others I think. Tagged with: Appliqué, Art, Feature, photography, Quilting stories. Thank you for sharing Houston pics. I haven’t been able to go the last 3 years. It is my favorite show! Hoping to go 2016! Maybe I will see you there. Went looking for Ella Blue fabrics and came home with $250 less in my purse. Some really nice fabrics. Previous PostMagna Carta Quilts – 800 years of History and legacy in Cloth. – capture and create. Next PostThe tears flowed – 1776, Heartache, Heritage and Happiness.